the campground at this time. Daytime temperatures should range from mid-70s to low 80s during the day and 50’s at night. Brief (usually) mountain thunderstorms with gusty winds are possible at all times especially during the afternoons. Campground activities Friday, July 27, could include such things as easy expeditions to local SOTA peaks, operating, trading, renewing old friendships and making new ones, experimenting with antennas, and many other activities. There are plenty of tall Ponderosa pines for those wire antennas. Friday evening is our traditional group supper at one of the local restaurants. Saturday, July 28, is our day for the technical forums at a nearby facility. We’ll adjourn about 3pm and head back to the campgrounds for our Saturday afternoon picnic. We have a covered ramada that will accomodate 70 easily. Water and electricity is available. You might want to bring a chair and/or table just in case as we don’t have quite the number of picnic tables as we’ve had in the past. No tickets to buy. Prizes. No tickets to buy. All are welcome. Bring your own entree for the picnic and we’ll do the rest! Look for many more details on our website at http://www.azscqrpions.com which is being updated. Watch for updates at the website or from @azqrp at Twitter. Send me your cell phone number if you want text updates. Select Ft Tuthill 2012 in the menu. Pass the word and we hope to see you there!! 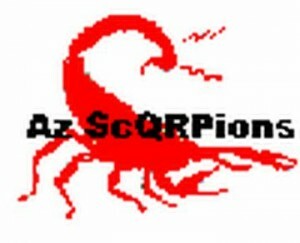 This entry was posted in Events, News, QRP and tagged Arizona, AZ SQRPions, Fort Tuthill QRP Conference, Ham Radio, QRP, QRP Conferences. Bookmark the permalink.